Absolutely the best way to get your research out there is to get an article about it published in an English academic journal. Academic journals are, quite rightly, highly thought of and their selection processes are rigorous. However, once you do manage to get published in a journal, you’ll have the satisfaction of knowing that your work and your effort are out there on display and that one day, they might even make a difference. Follow our six top tips on getting your research article published in an academic journal and share your work with an international audience. Before you even try to submit a research article to an academic journal, you need to understand exactly what journals are and which ones might suit your work. Journals aren’t just magazines full of research, they are expert publications with strict selection criteria that demand scholarly and technical excellence in their field. If this sounds a bit intimidating, don’t be put off, take some time to read journals in your field (if you haven’t already done this during your research) and familiarise yourself with their content. Each of the criteria above are subject to fairly complicated factors. We explain this in more detail in our downloadable PDF eBook. Academic journals quite correctly have stringent guidelines that ensure the quality control of all articles they publish. There will be no point you submitting your research article for research if it is poorly written, has an incorrect word count or doesn’t have a clear argument. 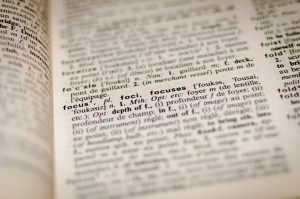 Reading through published articles is a good start but you are going to need specific advice if you want academic journals to take your work seriously. Editing is the key to all good writing. No piece of work ever comes out of the editing process worse than when it went in. You need to edit as you write but you should also consider getting professional help with editing at certain key stages of your research writing process. Each academic journal will have slightly different submission criteria. These aren’t just the obvious things such as word length and double spacing; journal submission criteria are notoriously meticulous and if you have used the wrong font, reference system or even keywords for SEO, your article will be returned to you, unread and unrecognised. 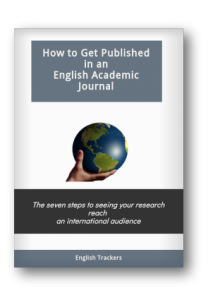 You should always check the submissions criteria of individual journals but we have some tips on what to watch out for in our ‘How to Get Published in an English Academic Journal’ downloadable eBook. When you submit a research article to an academic journal you will get feedback and will be required to make changes. There is no point expecting your work to sail through their rigorous checking procedures without any changes, this just won’t happen. When the feedback comes you should make every effort to see it in a positive light and respond politely. You could have done the best research ever, but your position here is not ‘the expert’, if you want to be published you need to take feedback on the chin and welcome it as an opportunity to improve your academic article. 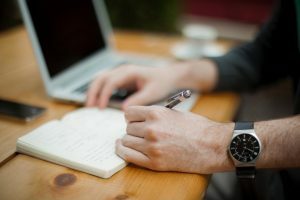 Getting a research paper published in an academic journal is a great next career step but the process of writing, editing, submitting and responding to feedback can be a daunting one. Our free eBook, ‘How to Get Published in an English Academic Journal’, will help make sure that you feel less alone during the process and that you give yourself the very best chance of seeing your research in print.